Q. Please stop cleaning all the toilets at the same time! Thank you for completing a Library comments card. 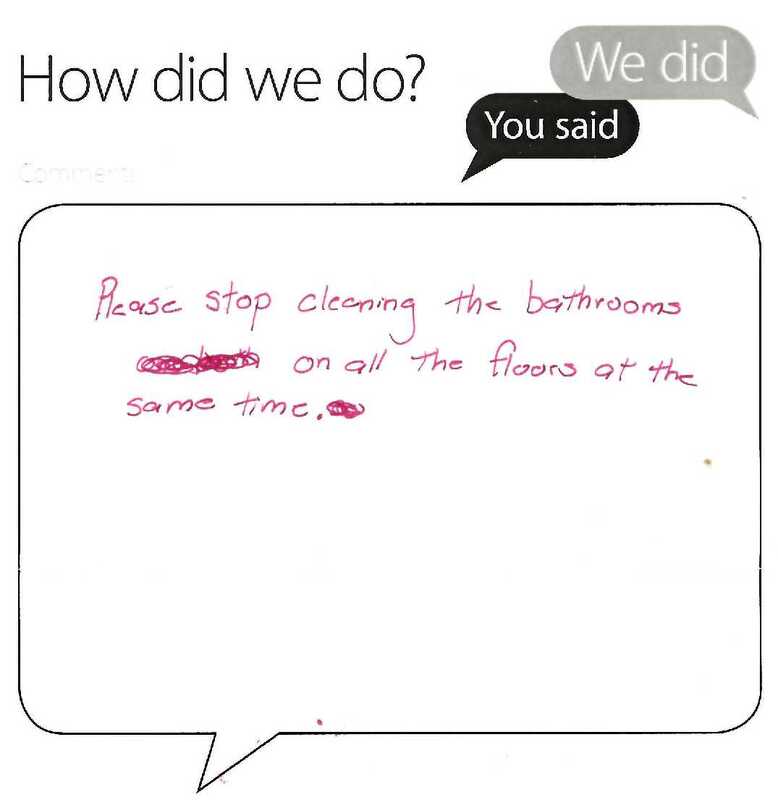 I have passed your comments on to the University's Cleaning Manager. I do know that cleaner colleagues would not normally close the toilets on all floors at the same time so there may have been some miscommunication in this instance. In any case I'm sorry for the inconvenience caused.